Hamilton Ridge Animal Hospital is a proud member of Georgia Veterinary Associates, a group of 4 privately owned animal hospitals in the metro Atlanta area. Our mission is to provide innovative and thoughtful care to pets and the people who love them. GVA opened its doors in 2003 with Russell Ridge Animal Hospital, realizing Dr. Brad Miller and Dr. Michael Wanchick's dream to provide comprehensive medical and surgical care for small animal patients. In 2005 the doctors opened Hamilton Ridge Animal Hospital in Buford, and then in 2007 Apalachee Ridge Animal Hospital was opened in Dacula. Abbotts Bridge and Camden Village Animal Hospitals were opened in 2012 and 2013 to serve the Johns Creek/Duluth/Alpharetta areas. As a member of the American Animal Hospital Association since 2009, GVA adheres to rigid requirements for quality medical care and participates in comprehensive hospital inspections. We are proud to be a member of the organization and to have accredited four of our practices. Look for accreditation of our newest practices soon! Our mission is to provide innovative and thoughtful care to pets and the people who love them. Our family of doctors and staff are committed to continuing education, collaboration, and offering services tailored to your pet's needs. We treat our clients and patients with respect and dignity, and we welcome pet owners to be involved in their pets’ health and wellness. At the end of the day, a healthy pet is a happy pet! Had a wonderful experience here, Dr. Fish is very kind and takes her time listening to concerns about your animals health. They even took the time to show me their personal bearded dragon! The team at Apalachee Ridge Animal Hospital is fantastic. We recently moved to the area and needed a new Vet for our aging pets. Great staff and service st a very affordable price! They are knowledgeable with bearded dragons too! Dr Wanchick and his staff are all very dedicated, talented and caring professionals. They have provided our aging cats the best of care in both critical situations and normal office visits. I have taken my dogs here for several years. The staff is very friendly and professional and I would recommend this Vet to anyone. Their approach is very practical and they put your pets needs first. Our dog, Chelsea was sick over night and yesterday morning. Dr. Wanchick picked up his staff in the snow and drove to hospital. Had a great experience with my cat, Clyde, about 2 years ago and now I have a doggie I’m going to take today for them to check out!! We have been bringing our three little dogs here for several years and have always had excellent service! Everyone is knowledgeable, friendly and really seem to care. I have used this practice for years and highly recommend Hamilton Ridge...Their entire staff are always there to help you...even if it's just to listen! The folks at Hamilton Ridge Animal Hospital are always kind and efficient. I feel very comfortable taking my much loved pets there. I have been so happy with Hamilton Ridge. My dog and my cat have both had various health issues and I always feel I can trust the vets here. This was my first time going here and everyone was super nice and helpful. They were great with my cat and I will definitely be taking my 2 dogs here when they are up for their yearly check up. They are so friendly and truly care for you and your pet! They are reasonably priced and will work with you to find a treatment plan that works for your finances. My experiences are always positive. They know their business. Our first exam visit was excellent. We recently boarded our dog here while we were on vacation. The technician staff was great! Dr. Rachel is wonderful! She provides great care and spends time answering all my questions. I couldn't be happier with the services provided! Such a clean facility. Vets and help are very friendly and professional. Best vet I’ve ever had!! Everyone at the practice are so caring, I wouldn’t take my pets anywhere else ! Great experience with Camden Animal Hospital so far! We took our sweet puppy to this vet as soon as we got her to get her wellness exam. She absolutely loved the staff. Very positive experience. The Vet spent a lot of time with us. Her exam was thorough and all our questions were answered. The treatment plan was easily understood and reflected our discussion. Started taking my sweet little dog, Franklin to see these AWESOME folks about 5 years ago. I've been going to Dr. Smith for several years and so appreciate the dedication and caring of the whole staff. She takes care of my 2 cats and a senior chihuahua I just adopted. Dr. Stacy was at our previous vet's office. We missed her compassionate demeanor and complete explanations of everything that was going on with our dogs. I love Dr. Morgan Smith. She is so kind and caring with my dogs. I feel that the prices at Camden are reasonable and the treatment is excellent. This vet is absolutely awesome. My son and his wife has used them for years with his ferrets and dogs. My friend was in town for 3 weeks with her dog and it got sick. I brought my very sick cat to them for an emergency which resulted in surgery and they were very compassionate to me and my family and took great care of my sweet fur baby. Genuine people providing top notch vet care for both my cat and dog. Been going here for the last 5 years. So glad I found them!! We love Russell Ridge Animal Hospital! They have been a great vet for us for over 9 years and I completely trust all of my pets' care with them. Dr. Miller is the best. In all of my years of owning pets and needing veterinary care, Russell Ridge is by far the best care we have ever received, specifically from Dr Miller. The veterinarian was very nice. The place was clean and pleasant. First time visit was such a pleasure! warm, smiling front office staff that was very helpful! dr. The best customer service, and the best service provide to my dog! All my appreciations to Dr.Brad Miller and crew! Thank you! We originally came to this clinic following our Veterinarian. She no longer works here, so we were hesitant...changing doctors can be a big deal. I was worried when I heard that Dr. Travis had left the practice, 'cause we had been seeing her for about 10 years...but I think that the staff here is still excellent! Dr. Travis is the best! 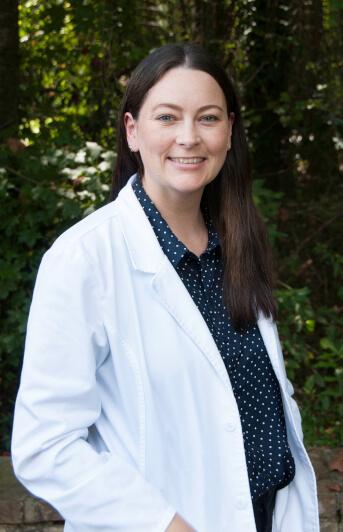 I will always use Dr. Travis as long as she is practicing and Mary is always friendly and very helpful with my pets and treats them like her own. Dr. Travis at Abbotts Bridge Animal Hospital is one of the bests in the business! Dr. Jeanne Travis and her staff at Abbotts Bridge Animal Hospital are amazing. 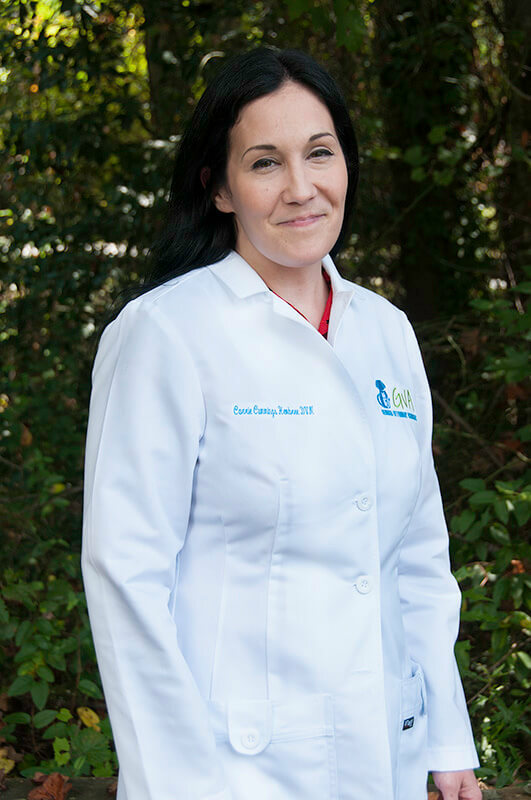 After hearing wonderful things about Dr. Travis, Leah and Stephanie from a fellow animal foster, I moved my animals to Abbotts Bridge Animal Hospital and I've been very happy with this practice. I took one of my cats to Abbotts Bridge Animal Hospital yesterday (due to the recommendation of a friend) for a consultation.